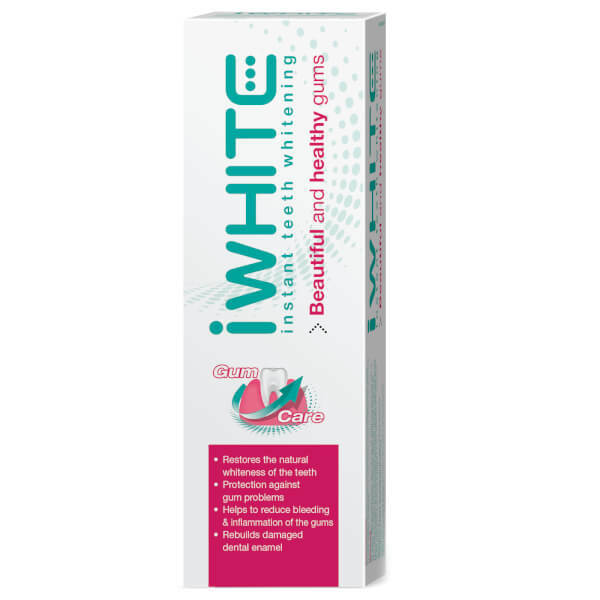 Enhance your smile and naturally whiten teeth and protect gums with iWhite Instant Toothpaste Gum Care. 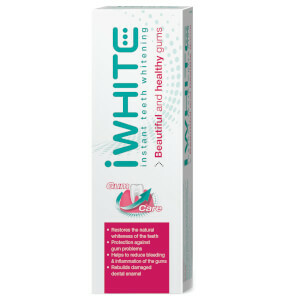 Boasting a triple action to effectively whiten up to 8 shades lighter and rebuild enamel, iWhite toothpaste reduces bleeding and gum inflammation and strengthens and enhances healthy gums. Containing Hydroxyapatite Micro-crystals to restore and rebuild enamel, Tea Tree oil and Fluoride to improve teeth and gum health and Vitamin E to neutralise free radicals that attack gums, iWhite instant gum care is clinically proven to be a safe and effective stain removing toothpaste. Suitable for adults and children over 12 years old. Brush at least twice a day or follow your dentist’s advice. Aqua, Hydroxyapatite, Sorbitol, Hydrated Silica, Propylene Glycol, Tetrapotassium Pyrophosphate, Sodium C14-16, Olefin Sulfonate, Aroma, Cellulose Gum, Melaleuca Alternifolia Leaf Oil, Tocopheryl Acetate, Sodium Fluoride, Sodium Saccharin, Limonene, CI 77891.